The Dubliners A traditional anti-recruiting song which was very popular around the Cork area of Ireland during the first world war. Salonika which is a port in Greece was used as the supply chain for the men fighting in Gallipoli. The guitar chords are another first for this site are courtesy of Marc Fahrbach. 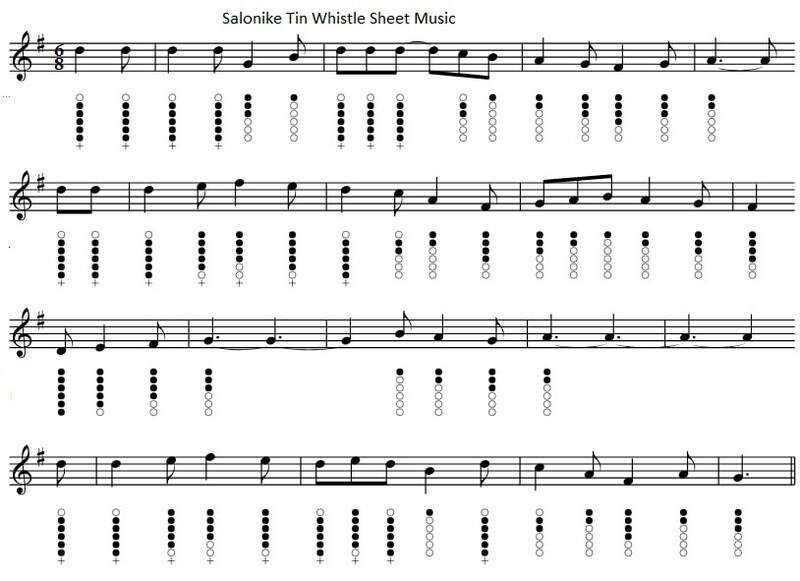 The tin whistle sheet music is included. Ronnie Drew is on vocals for the Dubliners song. So right away Salonika, right a(A7)way me soldier (D)boy. They (D)taxed the Colosseum and they (A)taxed St. Mary's Hall. So (D)right away Salonika, right (A7)away me soldier (D)boy.